We’re back…and so are those damned aliens! Twenty years after getting their asses kicked by a scrappy (and witty) group of human survivors, the aliens have returned with a really big and nasty ship. They ain’t looking for a cup of sugar. Can another group of even more disadvantaged scrappy survivors, rise up and save the Earth again? Did it really take director, Roland Emmerich, and his team 20 years to come up this storyline? Does the return of Goldblum, Pullman and Spiner, make up for the loss of William (Will) Smith? Was Independence Day: Resurgence a disaster film or a film disaster? We answer all of theses questions and more in episode 74 of The Smoking Screen Podcast. Come and join the circle! Another week, another super hero film. This time we journey once again into world of Charles Xavier (Professor X) and his school for the really, really, really gifted (X-Men). 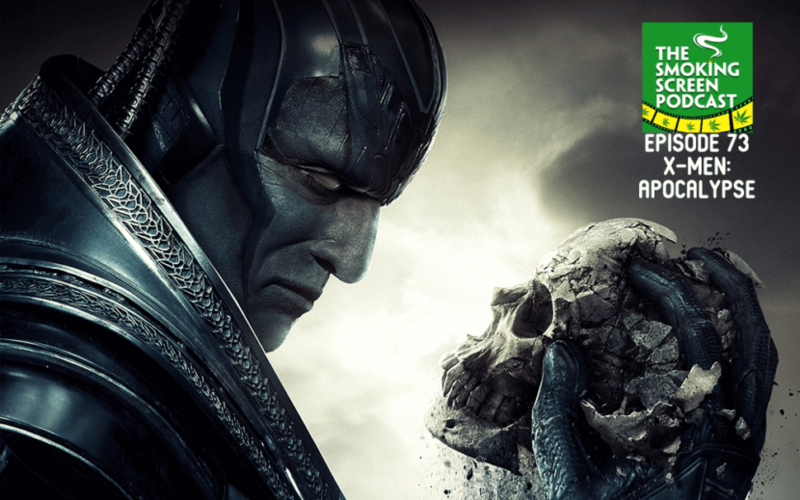 How does Bryan Singer’s X-Men: Apocalypse stack up against the other X-films and the current batch of comic book inspired blockbusters? James McAvoy and Michael Fassbender were spectacular in the pivotal roles of Prof. X and Magneto, in First Class and Days of Future Past. Could they repeat such strong performances in the final installment of the storyline? Was Oscar Isaac able to create a memorable and menacing super villain in Apocalypse? Are we getting tired of watching these films? How many more of coming out this summer? We answer all of these question and more in episode 73 of The Smoking Screen Podcast. Come and join the circle!